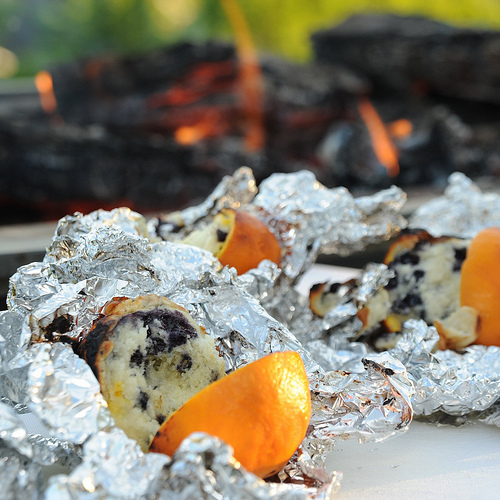 My niece, Chelsie made these Orange Blueberry Muffins the last time we went camping. THEY ARE DIVINE!!! I made the mistake of not taking pictures of her preparing them, so these picture are borrowed from BuzzFeed Community – found on Pinterest. 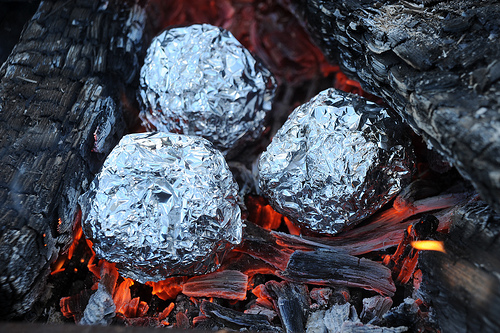 These were a special treat while camping!!! 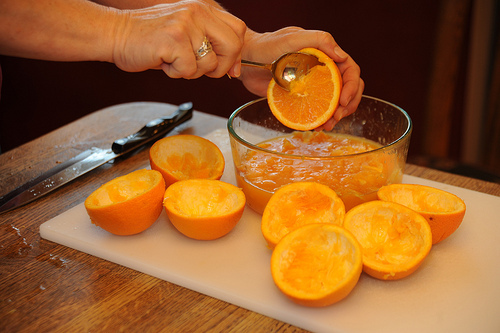 Cut oranges in half and scoop out the inside, leaving just the orange peel. 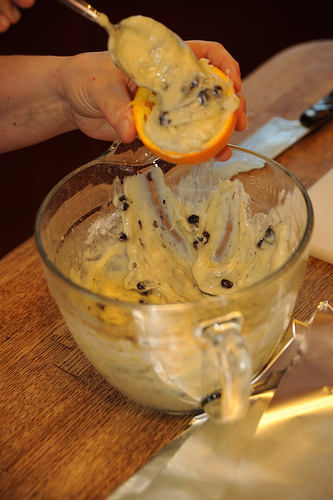 Prepare a boxed Blueberry Muffin mix according to the package directions and fill ONE HALF of each orange. 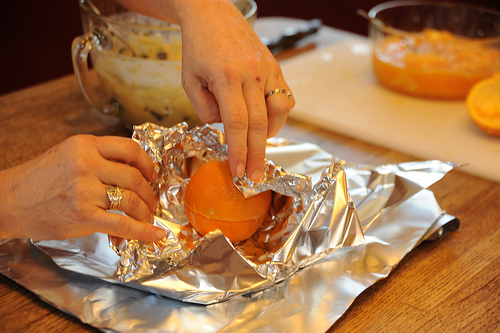 Put the empty orange peel on top and wrap in 3 layers of foil. Thanks Chelsie!!! These were the BEST!!! ENJOY!!! !